Plus....whoever spends the most money on April 20th will win a 10% discount on purchases for the remainder of 2019!!! New to the sport and overwhelmed? Let our friendly and knowledgeable staff help you select the basics of what you need to get started without spending a fortune! Trying to get ready for that next show? 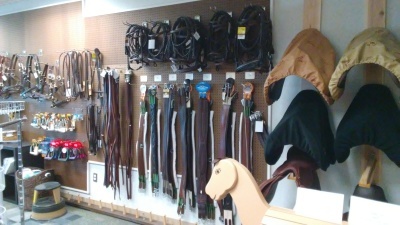 Our experienced staff can help you get all of the essentials you need before you and your horse head out for that next weekend of showing fun. 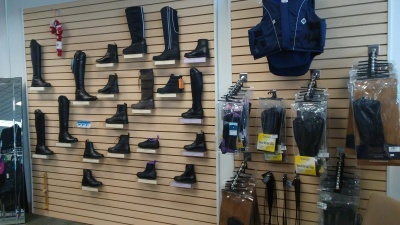 Boots, breeches, helmets, gloves, chaps, & more. We will help you find all the items to ride safely & in style. He or she is as fun to dress up as you! 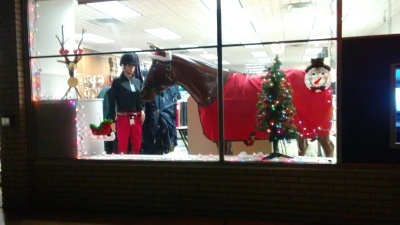 We have blankets, sheets, coolers, wraps, scrims, polos, boots, and more. 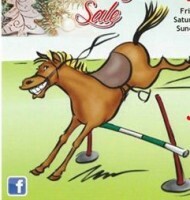 We have both new and used saddles plus all types of bridles, halters and girths.